With a streamlined profile, full-space main deck, and advanced onboard technology, you'll be won over by both her beauty and enviable performance. Choose from a Sport Cruiser with hardtop or Sport Fly with flybridge option. A generously sized tender garage and large submersible swimming platform make launching water-sport toys and accessories a breeze. Use the unique ship control app to operate onboard systems. The Airstep® 2 planing hull is combined with twin IPS 600 engines for excellent speeds, comfort and safety. Beneteau Gran Turismo 50 - Ref 31269 has been saved to your account. The Gran Turismo 50 completes Beneteau’s Gran Turismo range. Combining technology, elegance and performance, the Gran Turismo 50 is available in Hardtop or Sportfly. Full of surprising innovations, the boat is the perfect blend of Beneteau Power’s expertise, the signature mark of the designers Nuvolari & Lenard and the talent of Andreani Design. She promises to deliver style, speed and exceptionally well-organised living spaces. Made for boaters who like to express their individuality, she is a sheer pleasure to live aboard and drive. The large tender garage is designed to hold a 2.90m rib tender with engine or a Williams minijet 280. Check and control onboard systems at the touch of a button using the a wi-fi connected tablet. Includes lighting, music and air conditioning. Create a bright and airy cockpit saloon with the large opening sunroof and electric side windows. Interior and exterior spaces are connected seamlessly with the one-level deck area and the continuation of seating across the threshold from saloon to aft cockpit. Large helm station with an ultra modern dashboard and bench seating for two. TECHNOLOGYDerived from aeronautical industry technology, the Air Step® forms small steps under the hull that help evacuate the water stream and reduce the amount of friction. Combined with captured air forming a cushion, as well as runners to the rear of the hull increasing stability, these chevronned steps considerably increase speed, while reducing energy consumption.The second generation of Air Step® is marked by a considerable increase in the volume of air inflow beneath the hull. It took more than 18 months of research and 350 hours of testing to obtain a new combination increasing airflow and changing the shape and arrangement of the steps.Air Step®2 technology is now compatible with IPS engines, thanks to the research carried out by Beneteau in close collaboration with the staff at Volvo. This technological progress opens wonderful development perspectives for large new inboard motorboats offering stability, safety, and performance second to none. Nick has been an integral part of the Group since he joined to work weekends while at Chichester University! Nick took a full time position in 2007 at the Port Hamble office shortly after graduating and was delighted to move to our Lymington office in 2008 where from 2009 he assumed the role of Office Manager for this extremely successful branch of the network. 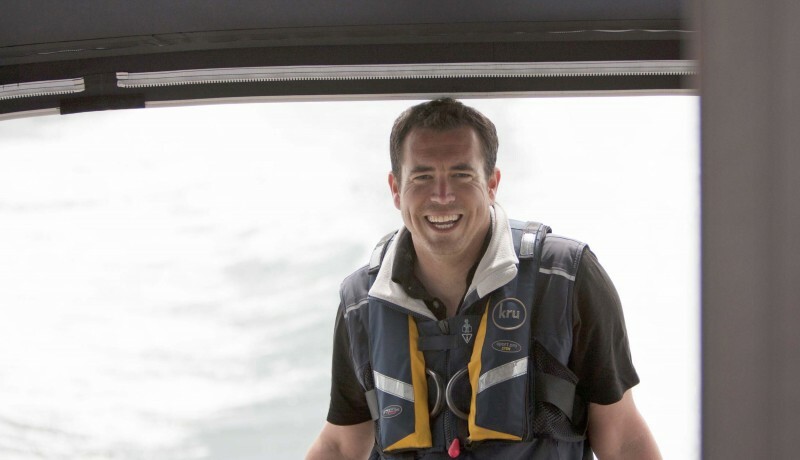 Excelling as a Brokerage Manager, Nick was then appointed as the Prestige Brand Manager for Ancasta and in late 2014 when Ancasta were awarded the Beneteau Power dealership Nick was the obvious choice to head up the Beneteau Power brand at Ancasta and grow sales through the office network. In 2016 Nick was invited to join the senior management team at Ancasta and has since been an influential member of the board helping implement new strategies to grow the business further. Out of work (yes we do let him have time off once in a while!) Nick is a very outdoor person who loves yacht racing, snowboarding, mountain biking, enjoying time with his young family and has even been known to run the odd half marathon or two!